Elon Musk’s SpaceX today launched the Falcon 9 rocket, which has now safely landed back home to Earth. Yawn. I’m trying to be that person who claims the launching of a rocket and landing it safely back on Earth into orbit is boring — far from it. It’s more like a morning television show at this point. Just look at our page on SpaceX — we’ve written lots of stories that are cheers and hand-claps to the company for bringing another rocket home. In short, the fact that SpaceX launched a rocket and brought it back is old news. Or at the very least, it’s expected. We’ve certainly come a long way from the first re-entry and landing of a Falcon 9 rocket in December 2015. This is the fourth successful ground pad landing of a Falcon 9. It was only a month ago we were reporting on the company’s first successful re-launch of an orbital rocket. The fact that successful landings are expected, rather than the exception, must be a good thing. We are truly entering the age of recyclable rockets. In this case, the launch was interesting more for what we don’t know about it than what we do. The payload was some kind of spy satellite, the exact nature of which is classified. 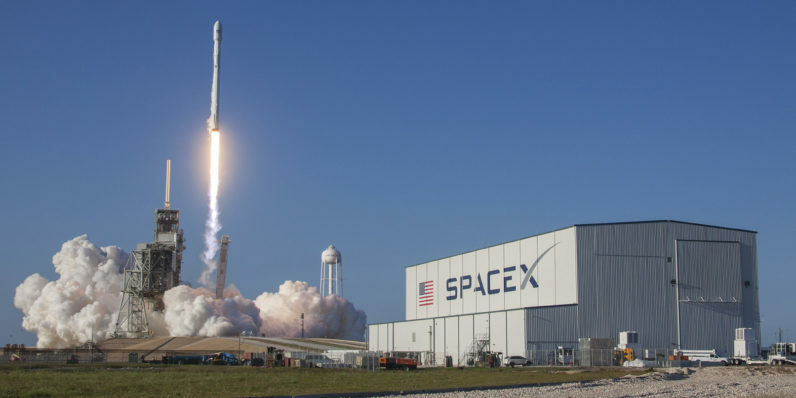 The customer who paid for this launch was the National Reconnaissance Office, which manages such satellites for the United States Department of Defense.